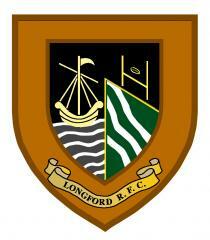 Longford had table toppers/previously unbeaten Naas visiting CPL park on Sunday past. The home side knew they would have to dig deep to compete against a very strong and experienced side. Longford started well putting Naas under serious pressure right from the kick off. Rebecca Duffy made a great break powering through several tackles before being brought down. The ball was recycled quickly with the forwards taking it on around the corner before it was flashed out the backs where Racheal O’Farrell and Maria Kelleher made two great breaks. Maria was brought down just short of the line but Rachael was there to just dot the ball down over the line for a great team try, which was converted by Megan Banahan. From the kick off it was Longford on the attack again, Louise Hillary, Dora Ledwith, Hannah Shea and Michelle Farrell were powering through tackles. Longford’s defence was very good and anytime Naas had the ball they were put under severe pressure. Naas had a lineout on their 5 metre line and tried to run the ball out from behind their try line. However, some great tackling from Longford forced a Naas knock on. From the scrum Longford tried to work a move through the backs but some strong defence from Naas saw them clear the danger. Towards the end of the half Naas finally got inside the Longford 22. Longford were working hard defensively with some cracking tackles going in. From a 5 metre scrum Naas were awarded a free kick, which was taken quickly and before the home side could react they had scored a converted try to leave a half time score of 7 all. It was all to play for in the second half but almost from the kick off Naas worked the ball wide and after some poor missed tackles by Longford, their centre ran in a try in the corner with the conversion being missed. Longford were now the team under pressure and it wasn’t long until the powerful Naas centre broke free again to score under the posts with the conversion scored, Longford were now 7 to 19 down. Longford were determined not to let this game slip away and some savage work by the forwards saw them back inside the Naas half. Emma Dardis was controlling things from scrum half and after a great break by Megan Banahan Longford got within touching distance of the Naas line. Irene Murtagh took on the ball and managed to power over the line with Fidelma Fallon touching down. The conversion was scored to leave the score 14 to 19. Naas got right back into the game not wanting to give up their unbeaten record and were pushing Longford hard. Naas flashed the ball out the backs but some brilliant line speed defence from Megan Jobe saw her pick off a poor pass to intercept and run in from the half way line for a try which Megan Banahan converted to put Longford in the lead; 21 to 19. Naas were again on the attack and a high tackle from Maria Kelleher saw her sin binned for the next 10 minutes. Longford were now really up against it but with Rebecca O’Hara, Clare Clabby putting in some serious tackles, Naas were finding it hard to break down the home side. Furthermore, Nicola Farrell, Natalie O’Reilly and Anita Walker were stepping up all over the field to make tackles. Longford managed to stop Naas from scoring while down to 14 and with only five minutes left were restored back to 15. Naas just couldn’t find a way past the ever determined Longford defence and they managed to hold on for a great win. Longford can be very proud of this performance against the best team in the league with every player from 1 to 17 putting in a huge effort. Next up is an away game to Portlaoise on Sunday. Longford still have a chance of making the play offs but need to win all their remaining games. The Warriors train every Tuesday and Friday night at 7.30 PM. New players of all fitness levels are welcome, even if they have not played before. Contact Nuala on 082482005. Sunday January 27th Leinster League Portlaoise (Away). Sunday February 3rd Leinster League CYM (Away). Sunday February 17th Leinster League (Home). All Kick Offs are at 1 PM.